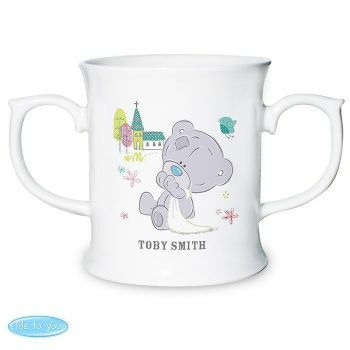 You can personalise this Tiny Tatty Teddy Christening mug. You can personalise the front of this Tiny Tatty Teddy loving mug with a name up to 20 characters long which will appear under the illustration. On the reverse you can personalise with a message of up to 4 lines of 20 characters per line.